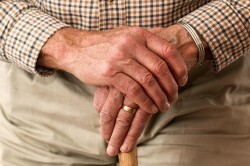 CosmoBC.com » HealthBlog » Medical Technology » Why Is the Concept of Adaptive Clothing Best for Seniors and Disabled People? Getting dressed up every day to look different and stunning is something which we take for granted, until illness, age, disability injury changes everything. This is where the concept of adaptive clothing comes into use. Usually, this kind of supportive clothing trend is designed for individuals having any kind of physical disability. For seniors, this style of clothing is quite approachable. Recently, the idea of adaptive clothing has become widely accepted by seniors and individuals with significant disabilities. What is the idea of adaptive clothing all about? Supportive clothing or adaptive clothing is highly preferred because it makes self-dressing easier for people with a lack of physical abilities as well as senior citizens. Now, what are the common techniques that are used for this kind of clothing? The closures are designed at such locations that individuals can easily reach them without any additional help. 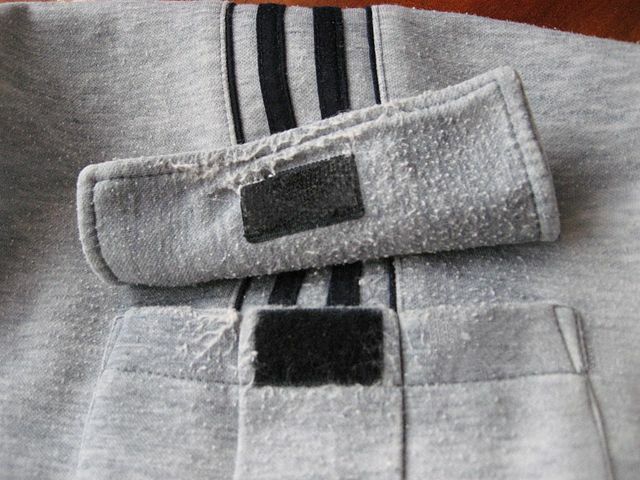 Like, using Velcro hip closures for trousers and pants. Clothes designed in such a way that there is no need to pull them over the head. It includes snapback polo shirts and sweat tops. Stretchy fabric ensures comfort. This approach makes clothing easier for individuals with bandages, incontinence aids and other kinds of additional challenges. Generally, adaptive clothing that is designed for seniors tends to focus completely on ease of use. Full emphasis is given to ensure that the clothing appears good and stylish. In fact, some of them are so beautifully designed that it is really difficult to distinguish them from the conventional clothing visually. Other kinds of adaptive clothing include rear fastened, which makes it quite easy for the caregivers to help individuals with the dressing. Adaptive clothing that is designed for individuals on wheelchair usually focuses on making it easier for them to get properly dressed up while seated. Do you think that adaptive clothing has an unusual look? Many senior people prefer to keep going with the conventional clothing trend because they feel that adopting the special kind of clothing style will make them appear usual. But this is completely a myth because nowadays adaptive clothing is designed in such a way that it is almost virtually indistinguishable from the conventional style of clothing. Most of the companies designing adaptive clothing prefer to focus on the style as well. You can look equally cool and attractive in adaptive or supportive clothing just like the conventional dressing. The only factor which sets the conventional clothing apart from the supportive clothing is the design and using flexibility. Conventional clothing is designed with the mindset that people can move easily while getting dressed up. On the other hand, adaptive clothing is designed keeping in mind about the physical limitations of the users. Where can you get adaptive clothing for aged people? Nowadays, this kind of clothing has become quite common, and there are several stores available where you can find them easily at affordable prices. Not only the online stores, conventional clothing stores now prefer to stock this kind of clothing. But, usually, when it comes to physical stores, the options are quite limited in comparison to conventional clothing. Adaptive clothing concept applies for almost all the regular clothes that a normal person can wear. Like, pants that can be easily pulled off and on and there is no need for completely rely on the fasteners. Other clothes include bras with front fastening facility, Velcro slippers, and shoes, shirts with domes over buttons, etc. But for more specialized requirements, it is better that you buy from one such company that specializes in selling adaptive clothes. If you are purchasing for your grandparents, it is advisable that you do for a company that specializes in adaptive clothing for seniors or general audiences. This will help you to get trendy and stylish clothing that will look good on them. Independent dressing items are available for women and men along with the special section for assisted dressing items. You can visit residentessentials.com for purchasing adaptive clothing for seniors. Depending on your relationship with your senior family member, convincing them becomes really difficult for using this kind of clothing. Stubbornness usually takes several forms, which is often associated with important concerns like loss of independence. And being honest, when we talk about adaptive clothing, it really sounds like been designed for invalids. But it is definitely not the case. Several adaptive clothing pieces are designed so beautifully that they look like normal clothing. In fact, this kind of clothing style can actually bring a vast difference to the life quality of an individual. If you want to know more about supportive clothing, stay tuned to us. Also, subscribe to our channel for the latest information on this kind of clothing style.